How does one practice accomplish all of this? Creatively, your meditation practice helps you see and receive your highest vision, and stay closely connected to your heart’s mission. Each week you’ll have a different focus to consider as you sit. 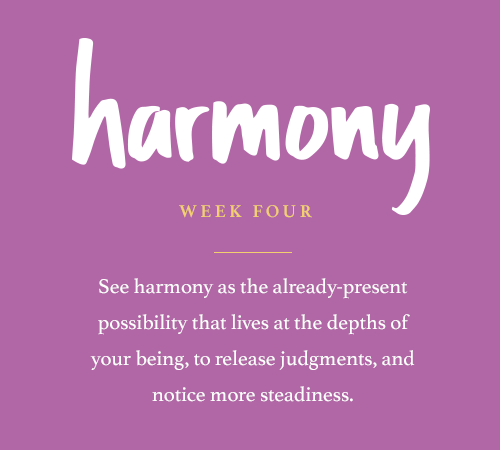 Week One, TRUST; Week Two, Adventure; Week Three, Abundance; Week Four, Harmony. Keep track of your sittings and your successes. Your image with a relevant quote for inspiration on your desktop, or in posts you share with friends and family. Elena raised the energy of our group in a way I’ve never experienced. Meditation with Elena is clear, simple and the most profound I’ve experienced. Prepare to be both uplifted and grounded at the same time. Elena’s energy is both powerful and gentle, simple and deeply insightful. It’s meditation that you can access today. Anyone who’s unwilling to believe in limitation. The course is entirely online. We recommend that you download the meditations and support materials to your computer. You can then transfer the audio files to your preferred device, such as a phone or tablet. 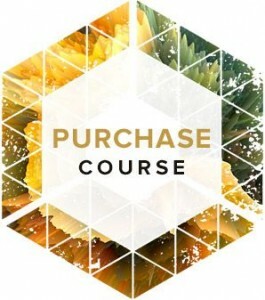 Course materials will be available for the lifetime of the course. You do not have to complete the course in 4 weeks. The meditations and materials are available for your use at any time. We do recommend that you download the materials upon purchase so you can easily access them via your own computer and other devices. 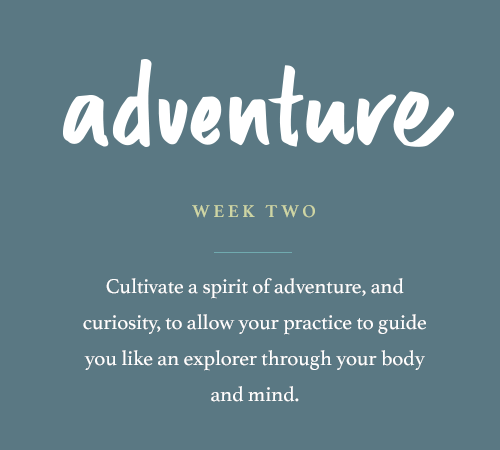 Four weekly modules on Trust, Adventure, Abundance and Harmony. Each week you will receive two audio meditations and materials to support you on your journey. 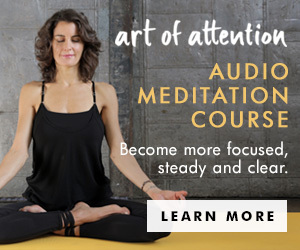 This Art of Attention Audio Meditation Course is $111. If you are not totally satisfied with the program, you may request a refund with submission of your completed journal entries within 11 days of your purchase. Do I only have 4 weeks to complete the course? No – the meditations and materials are yours to keep forever. You do not have to complete the course in 4 weeks. You can take as long as you want. During this call, I shared a few short practices as well as my own understandings of the benefits of meditation. 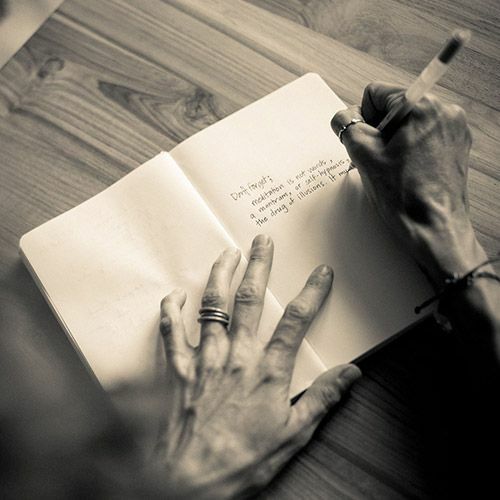 Your words are helping me open my heart and be present. Thank you for all you do. Know that your message is definitely getting out there – all across this awesome world. Thank you so much for this experience. Your voice, your words, your heart, your honesty guide me. I have been coming to your meditations a lot over the last few months since a car accident and then recent back surgery. Thank you from the bottom of my heart for your teachings as they help me every day. Elena, thank you for your elegance, honesty, love; for your blending of strength and softness. I just wanted to thank you for making these meditations available. I have just listened to your meditation sample and as usual your soothing voice and the enchanting sounds of East Forest settled my mind and allowed my body to relax. It has been several months since I’ve been able to sit and meditate, since losing my father this summer, the idea of sitting with my grief has been too much to consider. As a New Year’s intention I thought I’d try it today and stumbled upon this meditation sample you offer. 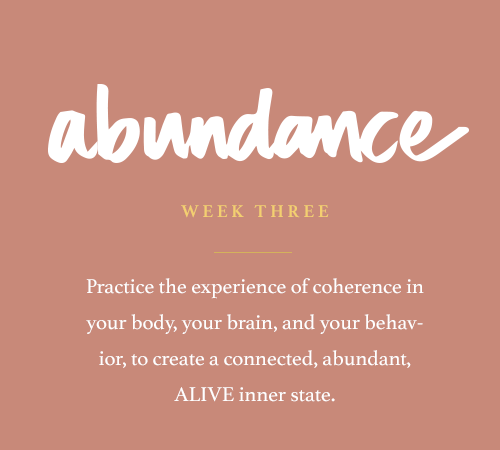 The result was beautiful… As you were mentioning abundance during the practice the sun rose in my garden and flooded my living room, with my eyes closed I could feel and see the light fill the space I was sitting in and fill me with heat and light. Abundance was on its way. I did not feel the loss or hole in my chest, but just wanted to sit there with this sensation of being filled. I just wanted to share this with you and thank you for helping me find stillness again and make my way back to my meditation cushion. Tomorrow is my last day of your AoA Mediation Course and I cannot thank you enough! Meditation and I – we go a long (bumpy ) way back, that is true… however, I could never have imagined sitting down for more than 15 minutes to meditate and for more than 5 days in a row. With your help not only did I meditate every single day for 4 weeks, but I did it in every single possible and impossible place AND during one of the greatest transitions in my life! What a ride! 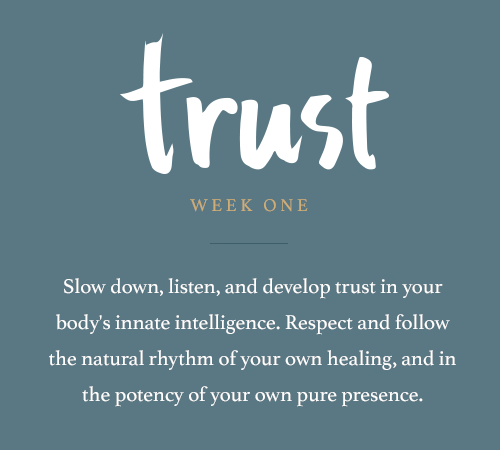 From Trust to Harmony indeed… This is definitely going to remain my No1 helper for transition periods in my life. All in all – Lady, you still rock my world! I want to thank you from the bottom of my heart for the audio meditation course. This is the first time I can sit still and practice meditation; I understand only now with your course how meditation can be so powerful for healing ourselves and discovering who we really are. The course really touched my soul, and I’m sure it’s saving my relationship with myself and others. Hope to meet you in person one day. Keep on going with your amazing work. Have a beautiful day. Listening to the first week of the Course on my walk to work this morning, I had to smile like crazy in the beginning when you’re talking about MEDICINE… smiled to all the people passing by, and my heart was overflowing with love at the end of it. I really feel a great peace if i turn toward myself every day – in a daily design, short meditation, few minutes of pure presence. Miracles happen immediately. Thank you for the constant reminder. I’m so deeply grateful for the meditation offerings, I’ve practiced them lying comfortably cushioned and wrapped in blankets, cocooned in the sounds and warmth. The result has been inner light and space that’s unusual for me at this time of year. I’m excited for all that means and enables, thank you. Have questions or need help with the course?